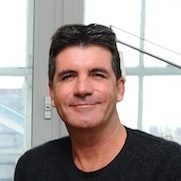 Simon Cowell, patron of Children’s Hospices UK, is calling for heroes to get involved in Children’s Hospice Week, 14-21 May. Friday 20th May is “Superhero Friday”, when fundraising will be hero-inspired. Why not dress up as a superhero and make a donation to Children’s Hospices UK? Get your friends, family and work colleagues involved and see who can come up with the best outfit! Visit childrenshospiceweek.org.uk for more information on how to get involved. This is Daniel Fathers (aka Uncle Brown and uncle to the Jonas Borthers) in DISNEY’s ‘Camp Rock’ & ‘Camp Rock 2: The Final. I applaud your effort. I’ve been involved in similar ways in Los Angeles and Canada…..Please let me know how I can use my celebrity from the Disney movies to good use?